Saline water covers approximately 72% of the planet’s surface (~3.6×108 km2), and marine primary production is at the same magnitude as that on land, 50 petagrams (1015) of carbon per year of net primary production (F. P. Chavez, M. Messié, and J. T. Pennington (2011)). However, marine primary production gives only basis for just over 1% of the average human energy intake (FAO, 2014). Fish and fishery products represent a valuable source of animal protein, and in 2010, fish accounted for 16.7 percent of the global population’s intake of animal protein and 6.5 percent of all protein consumed (FAO, 2014). The total marine catch of fishes has levelled off at around 80 million tons (live weight) while aquaculture continues to grow and reached nearly 25 million tons in 2012. Mollusc production accounts for 15 million tons, crustacean 4 and finfish 5.5 respectively. It has been suggested that the catch of fish has reached its potential and that the increased global demand for seafood must be delivered by aquaculture production. Mesopelagic fish live in the intermediate pelagic zone between 100m and 1000m. The global biomass is enormous. Initial estimates suggested 1 billion metric tons (MT) globally, but recent estimates suggest 6-10 billion MT. The predominant group of mesopelagic fish is lantern fish, contributing to around 60% of the total biomass. Lantern fish are often found in high densities (Arctic, Antarctic, Arabian Sea), suggesting that an efficient harvest can be developed. Some species like Lampanyctodes hectoris are found in shallow waters and can be caught by purse seine while most species are found in deeper layers and can be harvested by pelagic trawls. The biochemical composition of mesopelagic fish varies with species and season. While some fish like Benthosema glaciale and Maurolicus muelleri in Norwegian waters contain more than 60% of their dry weight (DW) as lipid, B. ptetorum from the Arabian Sea have low lipid content (16% of DW). Some species have wax esters as primary lipid depots, while others have triacylglycerols. Regardless of species, these are all good sources of EPA/DHA, of which up to 20% can be EPA/DHA5. The protein level is around 20% of wet weight. Several challenges must be addressed before commercial fisheries of mesopelagic fish can be developed. It is essential to understand why the exploratory fisheries in the 1980s never translated into commercial fisheries. The causes can be subdivided into three groups; a) many of the potential target species had high levels of wax esters. This causes diarrhoea, seborrhea and is potentially fatal and considered unsuitable for human nutrition b) many mesopelagic fish species deteriorated quickly after harvest. This was a major problem for fisheries in the Antarctic with long distances to ports. 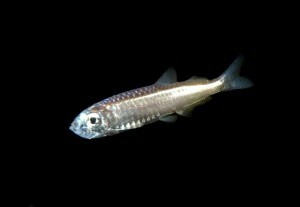 Stale fish develop high levels of biogenic amines during spoilage rendering the protein fractions unsuitable for consumption; c) when fish were processed into oil and meal using traditional industrial processes, residual lipid was often in the range 15-30%, compared to less than 10% for standard fishmeal. This caused problems for feed manufacture (grinding, extrusion, clogging in silos) and may have been linked to high phospholipid (PL) contents in these species. The ecology and biology of the mesopelagic fishes is largely unknown including the effect of potential fisheries on other prey populations. There is an urge to survey and map these resources to provide solid baselines for future sustainable fisheries. Harvesting is challenging as many preliminary experiments show unstable catches that need to be preserved on-board vessels as for krill. Future commercial exploitation would also need the development of new and efficient catch technology. The mesopelagic fishes represent a huge potential for marine protein and fats both for direct human consumption and for feed ingredients. The presentation will give an overview of the potential and suggest strategies for overcoming the challenges. Next Post:Food is more than grains and meat!